Mayor R.T. Rybak of Minneapolis announced Thursday that he will not seek a fourth term as head of Minnesota's largest city. 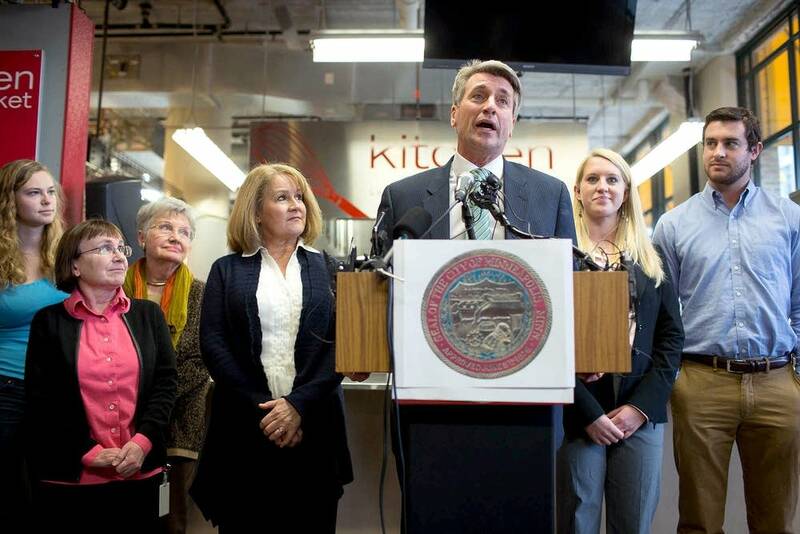 At a news conference at the Midtown Global Market, Rybak said that after three terms in office, he still loves his job. "But I've also realized that doing this job the way I've chosen to do it requires a lot of sacrafice," he said, "and after 11 years I believe it is time for me and my family and those around me to get more balance in our lives." Rybak said he does not know what he will do after his term ends next year. He said he would prefer to stay in Minnesota but did not rule out any possibilities. His announcement came less than a year before voters in the city of almost 400,000 people will choose a mayor. City Council Member Betsy Hodges sent out a news release congratulating Rybak and declaring she intends to run for mayor. Other local politicians have said they are strongly considering running. 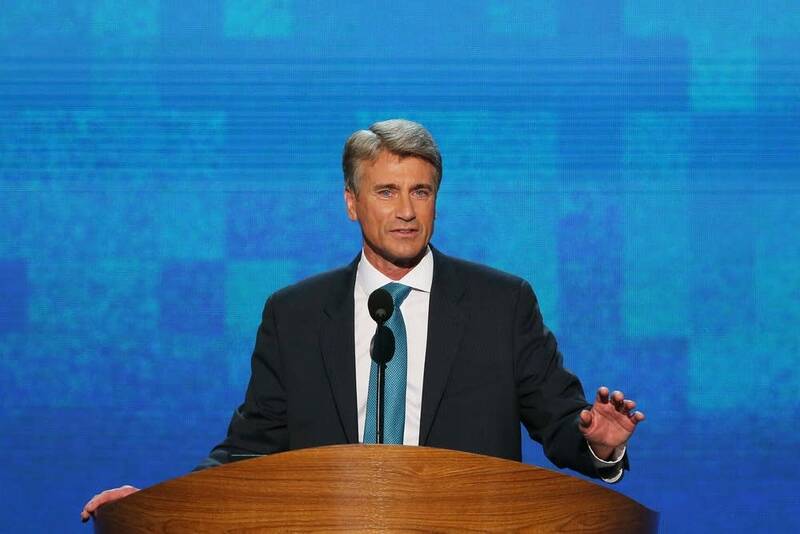 In his prepared remarks, Rybak vowed to pursue an aggressive agenda in his final year. "So fasten your seatbelts. This lame duck isn't quacking yet," he said. The decision should ramp up speculation about Rybak's next political move. The 57-year-old has been mentioned as a possible addition to President Barack Obama's administration or a future contender for governor. Rybak recently opened a state political action committee that will allow him to play a more prominent role in state races. He also is vice chairman of the Democratic National Committee. Since Rybak was elected mayor in 2001, the city has undergone a dramatic transformation. Minneapolis benefited some from county, state and federal investment in noteworthy projects, but at other times the city was a major partner. New sports stadiums for the Minnesota Twins and University of Minnesota football team have been built, though largely by entities beyond city hall. A third stadium project, for the Minnesota Vikings, is on the way with the help of city financing championed by Rybak. Light-rail transit returned, and two more lines connecting Minneapolis with the rest of the region are in the works. Tragedy also hit on Rybak's watch. Most notable was the collapse of the Interstate 35W bridge during an August 2007 rush hour, which killed 13 and injured 145. The mayor took a front-and-center role in consoling families, shaping a replacement span and planning for a memorial to the victims. Rybak, a former reporter, got his political start as a community activist. He gained notice for fighting for noise mitigation around Minneapolis-St. Paul International Airport. He became mayor by defeating incumbent Sharon Sayles Belton. He won re-election by comfortable margins in 2005 and 2009. A year later, he ran for governor but got knocked out of a crowded Democratic field at the state party convention. Curtis Gilbert is a reporter for APM Reports, American Public Media's investigative reporting and radio documentaries project.